This was a wonderful spot to peruse an outstanding selection of books! Opened in 1972 ABC has been quirky, friendly and knowledgeable. The ABC is located in the heart of the city center and offers 3 floors full of English books. Opening Hours: Mon 12:00 – 20:00,Tue-Sat 10:00 – 20:00,Sun 11:00 – 18:30. AKO is one of the best bookstores. The store can find a selection of page-turning bestsellers, travel guides, magazines, and newspapers – many of which are available in English and other languages. Check out their website if you need a particular address. This store is one of Holland’s and Amsterdam’s largest independent bookstores. Not only do they have a large stock in the literary field, but also in various academic fields, such as (classical and modern) languages, the humanities and the social sciences. About 40% of our stock is imported. 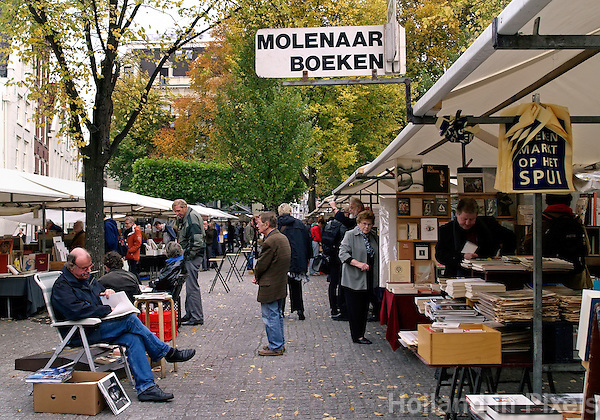 In 1981, Jan Westerman and Marijke Boon started a small bookshop in the De Clercqstraat, after which they moved to the Haarlemmerdijk in 1997. In this store you can find psychology, philosophy, health, human sciences, history and etc. the bookstore also a friendly bookstore with playing zone for kids. During more than 60 years of existence, Architectura & Natura bookstores were recognized as one of the best in their field in Europe. A bookstore in Amsterdam just specializing in architecture, landscape architecture (including gardens), and natural history. Previous article TOP 7 World's Best Natural Pool You Need To Visit This Year ! !